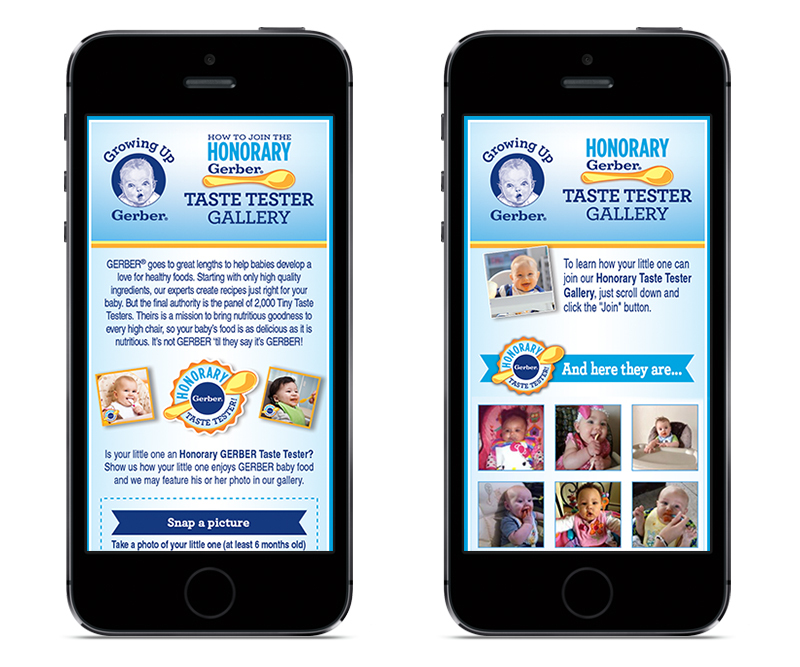 GERBER® TASTE TESTERS – Zucconi Idea Agency, Inc. 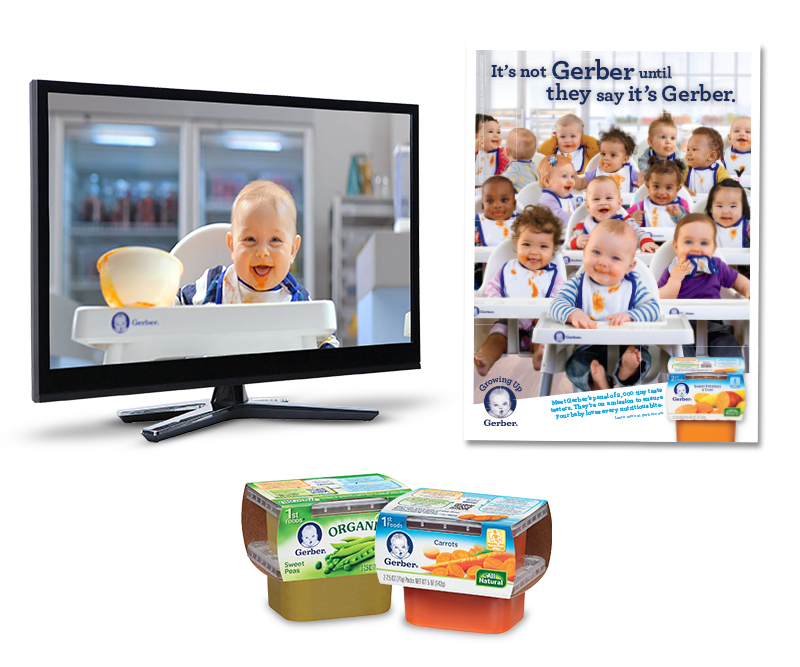 It's an awesome responsibility: taste-testing Gerber® baby foods. 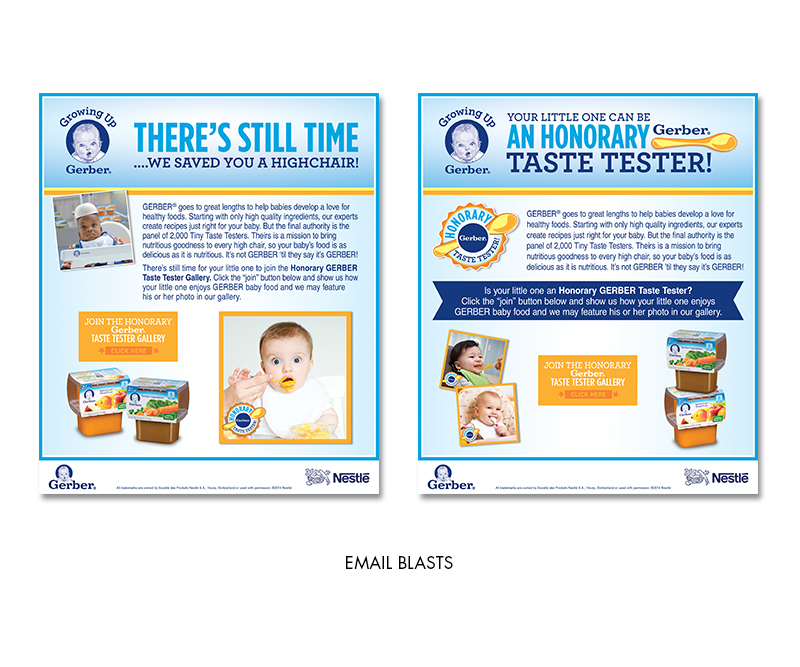 A responsibility Gerber entrusts to its panel of 2,000 Tiny Taste Testers…real babies who make sure those foods are as delicious as they are nutritious. And that's not all. They're TV personalities, featured in a highly successful TV campaign promoting the brand's popular purees. 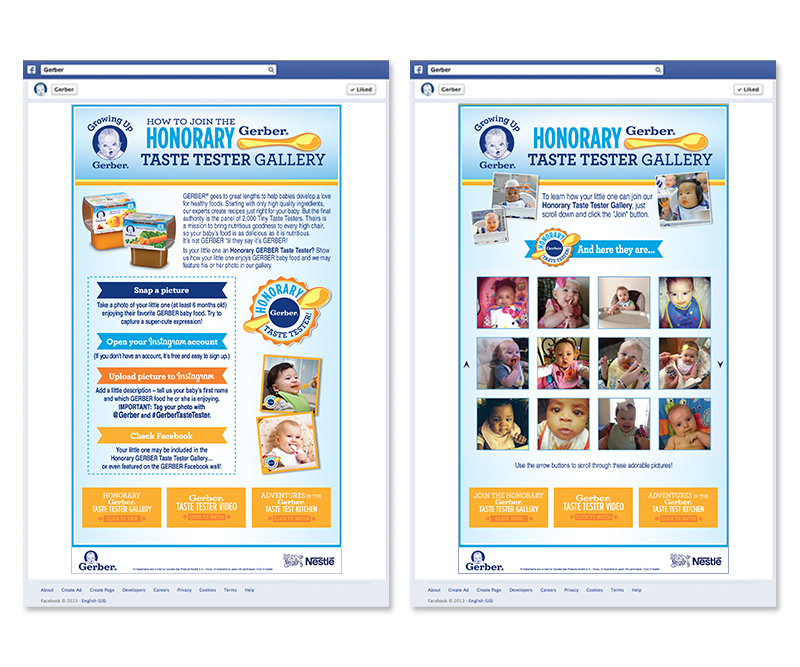 We were asked to create a multi-platform event leveraging these adorable little stars. 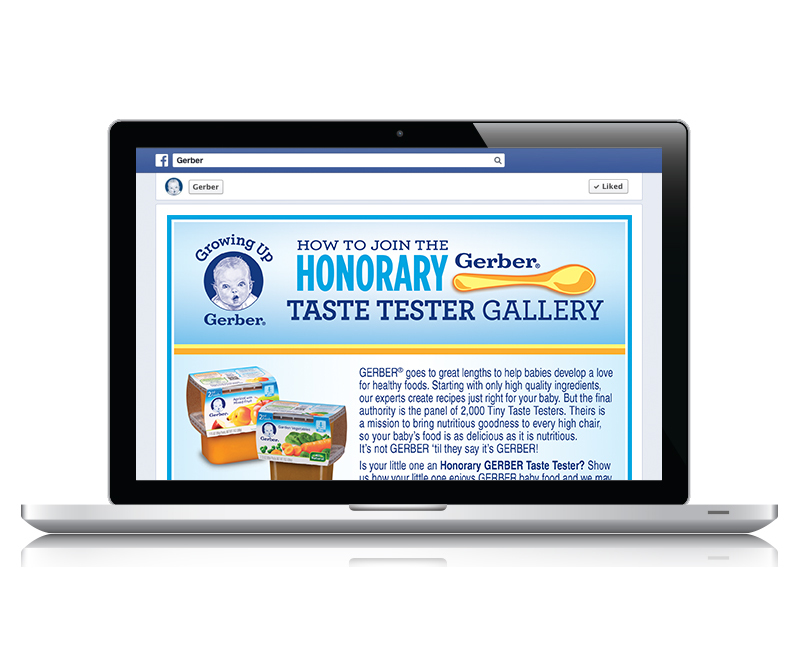 We developed the brand's first-ever Instagram promotion: an entertaining, highly engaging program inviting moms to snap photos of their little ones enjoying their Gerber favorites…then upload them to Instagram. Selected photos went on to appear in the brand's curated Facebook gallery of Honorary Tiny Taste Testers. We gave the promotion a bright, contemporary look-and-feel that aligned perfectly with the witty, humorous tone of the TV spots. We supported the social activity with a series of themed promotional emails. And we brought it to life in the real world, too, with a sampling initiative targeting more than 30,000 moms registered for the MyGerber consumer program. The food samples were packaged in a special Tiny Taste Tester Kit, including information on the Instagram promotion and a "Taster Notes" section…a simple, fun way for baby – and mom! 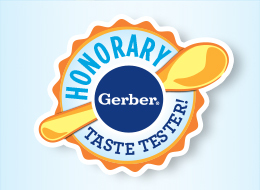 – to "join" the Gerber Taste Tester panel.